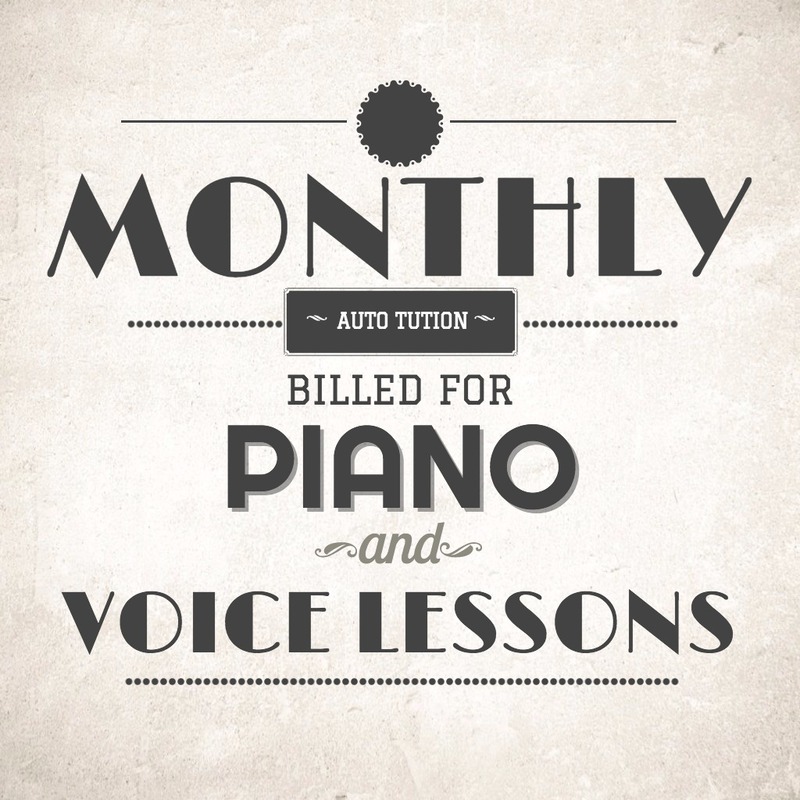 Monthly tuition for private piano or voice lessons. Tuition will be billed on the day that you sign-up and on that day of the month every month hereafter. This monthly fee is calculated by 42, 30-minute lessons per calendar year. Lessons are $27/each with an annual fee totaling $1,140. The 12 month installments divides the yearly total for a consistent monthly payment. If a student should discontinue piano lessons before that annual fee is complete, the remaining balance will be calculated and due the final month. 3 make-up lessons will be made available per year when 24 hour notice is given before the missed lesson. If your regular scheduled lesson time needs to be changed, please contact Lindsey.